Here is advice on doing it yourself. Add your professional service to this directory here. Mighty Green Lawn Care is the leading lawn treatment company in Birmingham, Alabama. We provide services to help eliminate and prevent the growth of poison ivy, sumac, and oak, as well as other vegetation. Rates are negotiable, depending on the status of the plants. Contact us for more info. Goats Our rates are determined by the amount of vegetation, the area to be cleared and the amount of time we believe it will take to do a great job. We expect the land owner to provide a clear path for our fences, so it could be that a client might have to hire someone to do this part. Specialist in removal of vines in trees, through rocks and anywhere on your property. Fully insured, references. METHODS: No chemicals/all-natural poison ivy removal. RATES: $75.00 per hour for supervisor, $50.00 per hour for additional labor. Go to website for full pricing schedule. OTHER FEES: $40.00/hr travel and tolls accrues both ways outside 06751. Safe efficient removal of entire poison ivy plant - roots, vines, runners. We guarantee our eradication service! Other invasive species removed. INSURED! We are a veteran owned business. Entire root bed EXTRACTED organically with manual tools. Chemical free. RATES: Call for pricing. Senior discounts available. Poison ivy roots are dug out using hand tools to extract the entire root bed. No chemicals. WeedPoisonIvy has videos demonstrating the methods and expertise of Cindy Campbell, owner of The Gloved Hand. METHODS: Organic - Poison ivy roots are dug out. RATES: $54.00 per hour labor - 2nd laborer $48 per hour. Hauling fees $12/bag. There is a travel fee from our locations in Connecticut. AREAS: Connecticut, Southeastern New York, Southwestern Massachusetts. Central Iowa. Des Moines and the surrounding area. Poison ivy is a very dangerous plant and is found growing everywhere, even in the best maintained of properties. Poison Ivy Control of Iowa will expertly survey your entire property and locate all poison ivy plants. Several options for elimination of these dangerous plants will be suggested and the process of eradication of your poison ivy can begin so that you can enjoy the outdoors worry-free. Don't risk getting this painful, itchy rash, and don't be confined indoors this summer. Call today and have peace of mind that your poison ivy problem will be solved. Poison ivy is a very dangerous plant and is found growing everywhere, even in the best maintained of properties. Poison Ivy Control of Illinois will expertly survey your entire property and locate all poison ivy plants. Several options for elimination of these dangerous plants will be suggested and the process of eradication of your poison ivy can begin, so you can enjoy the outdoors worry-free. Don't risk getting this painful, itchy rash or be confined indoors this summer. Call today and have peace of mind that your poison ivy problem will be solved. Poison ivy is a very dangerous plant and is found growing everywhere, even in the best maintained of properties. Poison Ivy Control of Kansas will expertly survey your entire property and locate all poison ivy plants. Several options for elimination of these dangerous plants will be suggested and the process of eradication of your poison ivy can begin so that you can enjoy the outdoors worry-free. We provide eco-friendly service utilizing goats. We work on properties where herbicides and machinery is prohibited. Ky Tn Ind Will consider other states. Mobilization fees (transport, setup, and shepherd , if needed) Fees are hourly rate or per acre. Poison ivy is a very dangerous plant and is found growing everywhere, even in the best maintained of properties. Poison Ivy Control of Louisiana will expertly survey your entire property and locate all poison ivy plants. Several options for elimination of these dangerous plants will be suggested and the process of eradication of your poison ivy can begin so that you can enjoy the outdoors worry-free. Coopers Poison Ivy Service is a family-owned business that has been serving Eastern Massachusetts since 1991. Fully licensed and insured, we provide our customers with guaranteed eradication of poison ivy. Through extensive research programs conducted over many years, Coopers has developed safe and extremely effective processes for eradicating poison ivy with no collateral impact on desirable vegetation. We have worked for town Conservation Committees and are a highly-rated service on Angie's list. We are located in Burlington, Massachusetts, are fully licensed and insured, and proudly serve all of Massachusetts. We will come to your home, business, or anywhere you have poison ivy that you would like to get rid of, give you an estimate, and treat your problem the same day. Email is the best way to reach us! Emails are checked 7 days a week and responded to as soon as possible! Organic Chemical Free Manual Removal, i.e. by hand using set tools. ALL OF MASSACHUSETTS! No chemicals/all-natural poison ivy removal: Go to website for full pricing schedule. Specialist in removal of vines in trees, through rocks and anywhere on your property. Fully insured, references. Watch my video on YouTube. South Western Massachusetts • See full Ad under CT listing. Guaranteed Poison Ivy Eradication. We are licensed and insured to cover all of Massachusetts. We use an herbicide to kill the poison ivy - roots and all. What we treat is dead and does not come back! Except for really egregious situations, we let nature do its natural removal after the plants are dead. For your peace of mind, we offer annual plans to treat new plants from existing or dropped seeds and extend the guarantee another year. Rates are based on time and materials. We also eradicate Japanese knotweed, bittersweet and other undesirable vegitation. See our reviews at Angie's List. Get Your Yard Back, Enjoy Your Summer. Chemical free poison ivy removal. Ask for Helaine. Give us a call. You'll be so glad you did! WE COVER: New Hampshire, Vermont, Maine and Massachusetts. SERVING: Montgomery County and limited areas of PG County and Northwest Washington, DC. Poison Ivy Control of Maryland is dedicated to giving you the very best in noxious plant control. Our service is second to none when it comes to taking a personal interest in your unique situation. Our services include the identification of the noxious plants on your property, removal of the plants, and an ongoing treatment plan if elected. Every property is different, so our prices do vary. Please contact us for a consultation and estimate so that we may start the process of solving your poison ivy problems. Goat rentals in Southern Maine to clear invasive plants and unwanted vegetation. Goats love poison ivy! $600/week for seven goats. They will clear about a quarter acre per week depending on density of vegetation. Operate within a 40 mile radius of Kennebunk. May travel further for the right job and increased fee. Poison Ivy Control of Michigan is dedicated to giving you the very best in noxious plant control. Our service is second to none when it comes to taking a personal interest in your unique situation. Since its founding, Weed Eraser, Inc has offered Poison Ivy control as one of its specialty services! We can help you identify whether or not you have a Poison Ivy infestation and then offer you options for control. There may be several options for you to consider when dealing with Poison Ivy.. so our rates vary. Some customers only want it sprayed and killed, often if it is only in a remote area of their property. Some want it killed and then removed. Most want it removed ASAP if it is in a highly trafficked area of their property. Some customers also opt for minimal herbicide use in their control services. We are based in Taylor and Flat Rock, and service most of Southeast Michigan. Call us to inquire about our Poison Ivy Control Service and learn how we cater to the needs of each client, ensuring the results you need and deserve. Check out our Website to learn more about Weed Eraser and Poison Ivy! Poison ivy is a very dangerous plant and is found growing everywhere, even in the best maintained of properties. Poison Ivy Control of Minnesota will expertly survey your entire property and locate all poison ivy plants. Several options for elimination of these dangerous plants will be suggested and the process of eradication of your poison ivy can begin so that you can enjoy the outdoors worry-free. Poison ivy is a very dangerous plant and is found growing everywhere, even in the best maintained of properties. Poison Ivy Control of Missouri will expertly survey your entire property and locate all poison ivy plants. Several options for elimination of these dangerous plants will be suggested and the process of eradication of your poison ivy can begin so that you can enjoy the outdoors worry-free. We are central New Hampshire's poison ivy solution! Poison Ivy Gone offers a complete range of options to address your poison plant problems. We specialize in the hand removal (a green alternative to chemical spraying) of plants like poison ivy in order to ensure that the problem does not continue in the future. We also offer maintenance programs to help in the prevention of regrowth. Call us today for your free consultation and a discussion of the treatment options available to you. Entire root bed EXTRACTED organically with manual tools. Chemical free. Call for pricing. Senior discounts available. Curing your poison ivy challenge: "When your property gets out of hand, we can hand it back to you" using the best practice methods. We identify and remove poison ivy and other invasive plants from residential and commercial properties in Philadelphia and surrounding regions, including the states of Delaware and Pennsylvania and areas of New Jersey south of I-195. Click on Super Service shield or here to read customer comments. SERVICE AREAS: Delaware, Pennsylvania, areas of New Jersey south of I-195. Poison Ivy Patrol Specialty Landscaping takes a holistic, comprehensive approach to your landscape. We take out all invasive plants and poison ivy. We will return your yard to health and beauty. Reclaim your yard! We cover the entire Mid- and Lower Hudson Valley, including Greene, Ulster, Columbia, Dutchess, Putnam, Rockland, Orange, and northern Westchester, and parts of NJ. No chemicals/all-natural poison ivy removal: Go to website for full pricing schedule. Specialist in removal of vines in trees, through rocks and anywhere on your property. Fully insured, references. Watch my video on YouTube. Paypal accepted. SERVICE AREAS: Westchester, Putnam, Columbia and Duchess County Areas $40.00/hr travel and tolls accrues both ways outside 06751. South Eastern New York State • See full Ad under CT listing. We bring our goats to your property, set up a temporary fence around the area that needs to be cleared, and let them do what they do naturally. We take them home in the evening and return as needed until the job is done! We serve the NE Ohio area, within around 45-60 min of our farm in Valley City, Ohio. Special consideration may be placed for jobs where the goats could stay on site overnight. Contact us for more info and rates. We supply the goats, fencing, housing and everything needed for a successful job. FlockWorks is a targeted goat grazing service. We've been working with goats to clear weeds, poison ivy and invasive plants of all types since 2013. We offer two general choices of service. 1. Repeated grazing (technically, browsing) where the goats eat all the leaves who and green growth of the poison ivy. 2. The goats come in and strip the poison ivy of all leaves and the vines are pulled and removed. We identify and remove poison ivy (and other invasive plants) from residential and commercial properties in Philadelphia and surrounding regions, including the states of Delaware and Pennsylvania and areas of New Jersey south of I-195. Click on Super Service shield or here to read customer comments. 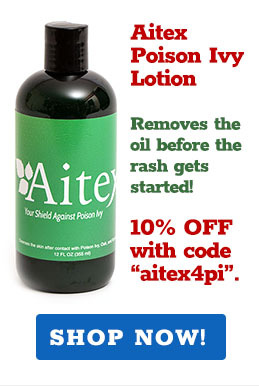 No chemicals/all-natural poison ivy removal: Go to website for full pricing schedule. Specialist in removal of vines in trees, through rocks and anywhere on your property. Fully insured, references. Watch my video on YouTube. Paypal accepted. Safe efficient removal of entire poison ivy plant - roots, vines, runners. We guarantee our eradication service! Chemical free. RATES: Call for pricing. Senior discounts available. I provide a herbicide service for land owners. I have a pesticide applicators license and liability insurance. I also provide tree quality inspections and plant identification. Poison ivy is a very dangerous plant and is found growing everywhere, even in the best maintained of properties. Poison Ivy Control of Texas will expertly survey your entire property and locate all poison ivy plants. Several options for elimination of these dangerous plants will be suggested and the process of eradication of your poison ivy can begin so that you can enjoy the outdoors worry-free. Poison ivy is a very dangerous plant and is found growing everywhere, even in the best maintained of properties. Poison Ivy Control of Wisconsin will expertly survey your entire property and locate all poison ivy plants. Several options for elimination of these dangerous plants will be suggested and the process of eradication of your poison ivy can begin so that you can enjoy the outdoors worry-free.